This is the first anime i ever watched. I was four years old and i could still see the difference between this and cartoons. I recently found my old dusty vhs of this and introduced my kids to it. These are some truly beautiful stories. Witches, princesses, knights, monsters, goofy animals, spells, and swords. A little bit of everything, and each episode is a completely different tale. 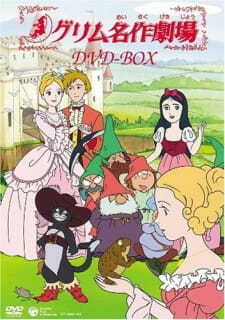 All based on the works of the brothers Grimm. This is from the 80s so dont expect cutting edge animation, but for its time, it does have pretty visuals and decent music. Some of these stories are familiar. The ones that arent familiar, are so intriguing that it is surprising that movies havent been based on them. Yes these are fairy tales but they aren't as flowery as disney features. I do not exactly recommend that you buy this and watch it by yourself, but it is alot of fun for the family.